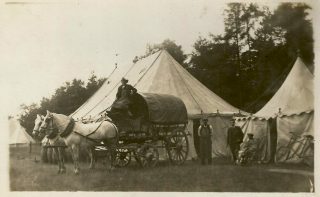 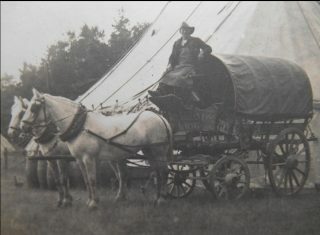 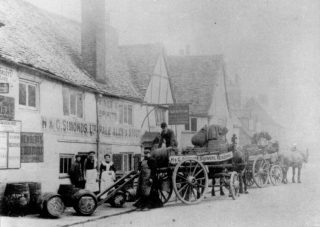 Early transport by horse drawn drays was severely limited. The horses could deliver barrels a maximum radius from a Brewery of only 12 miles in a day. 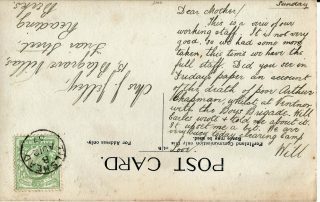 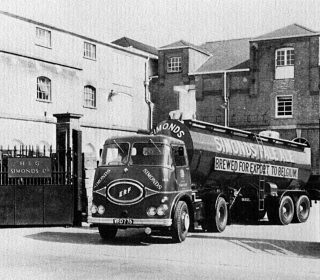 This determined the catchment area of each brewery or later distribution depot. 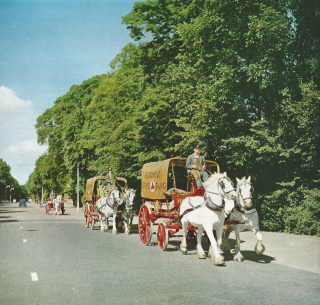 Longer distances had to be covered by canal or by train. 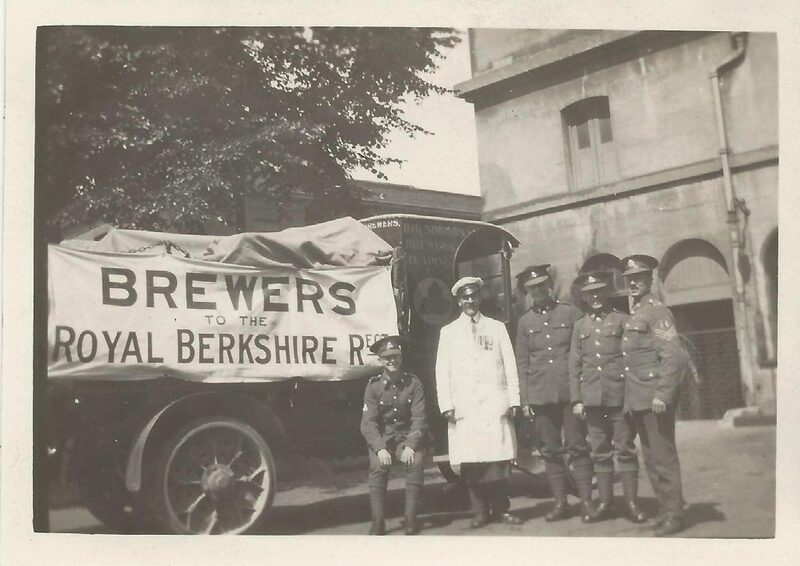 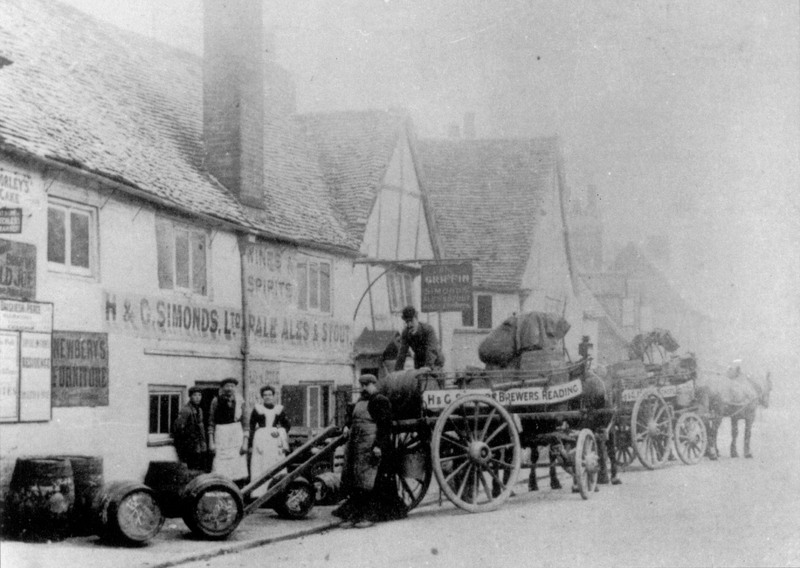 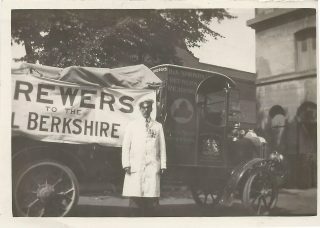 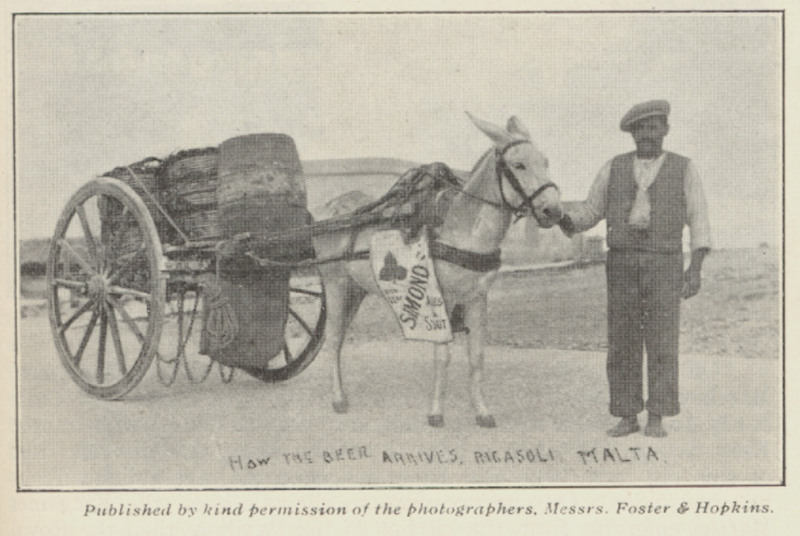 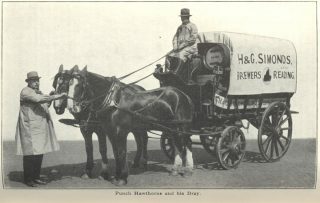 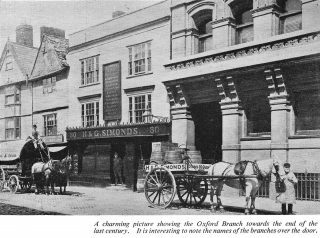 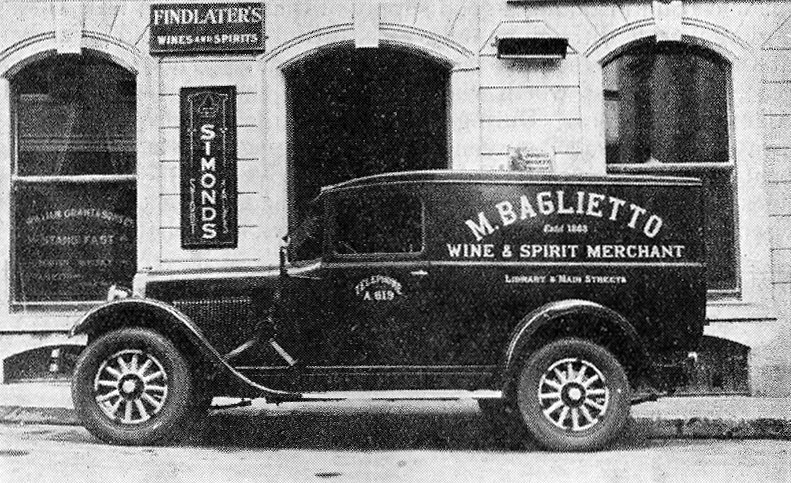 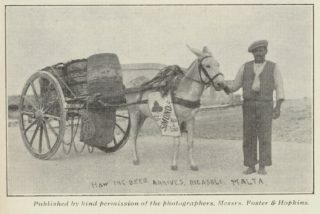 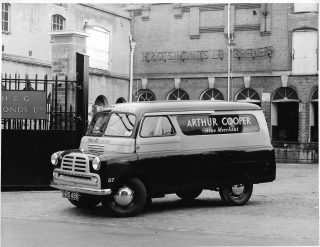 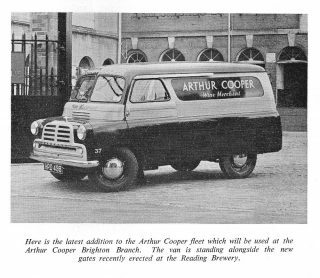 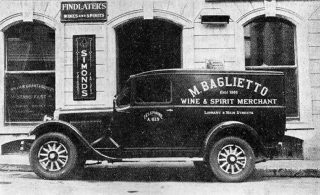 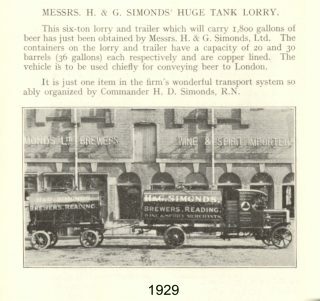 Rapidly improving means of transport was a key driving factor in the early consolidation of Breweries. 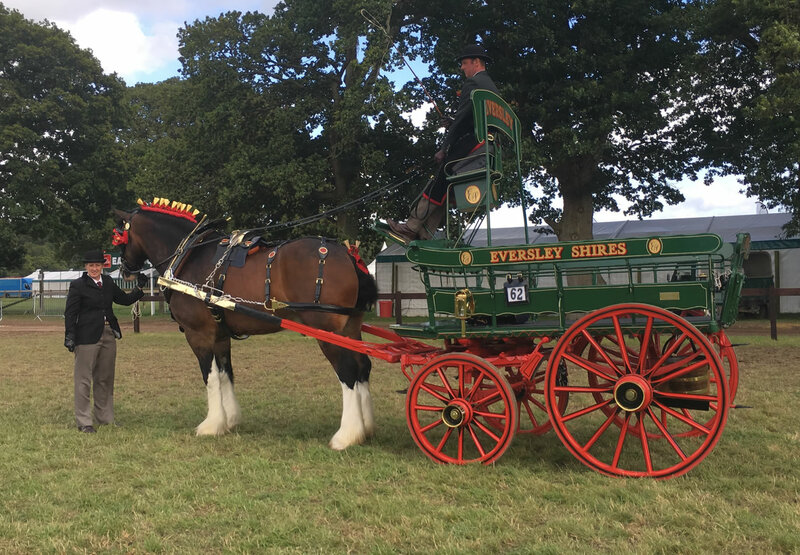 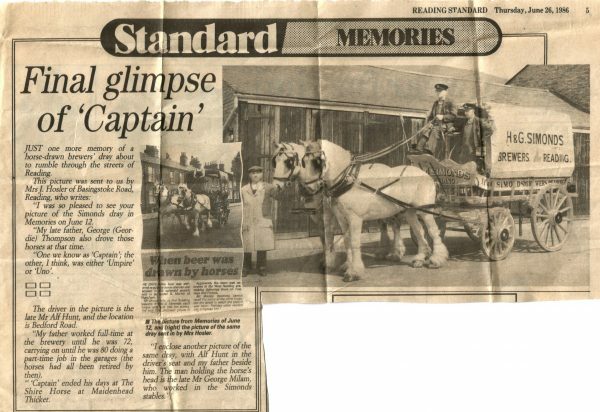 The last working horse drawn dray was retired from its remaining ceremonial role in 1960. 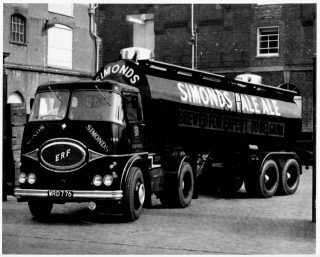 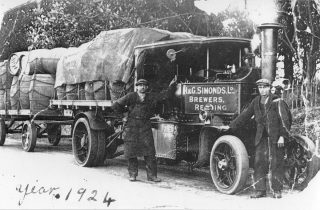 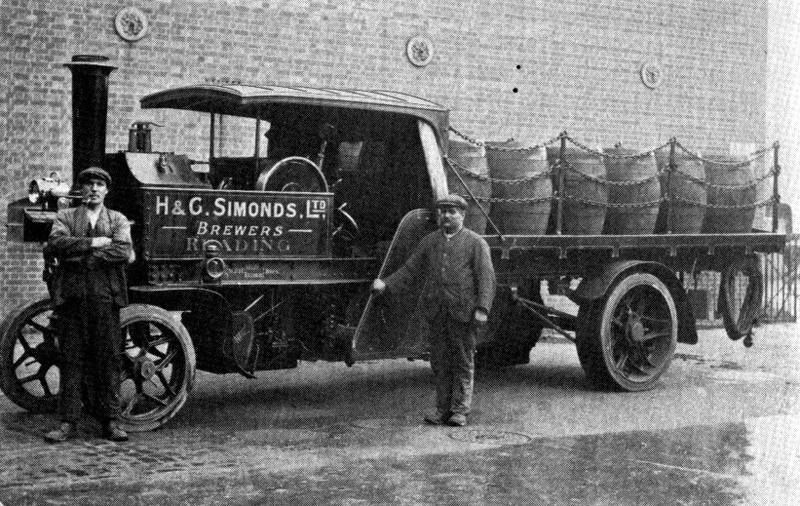 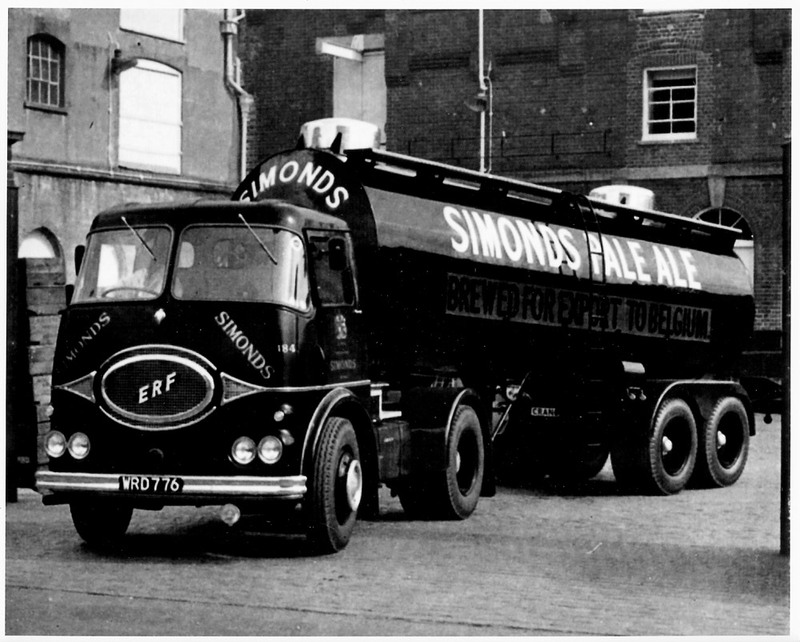 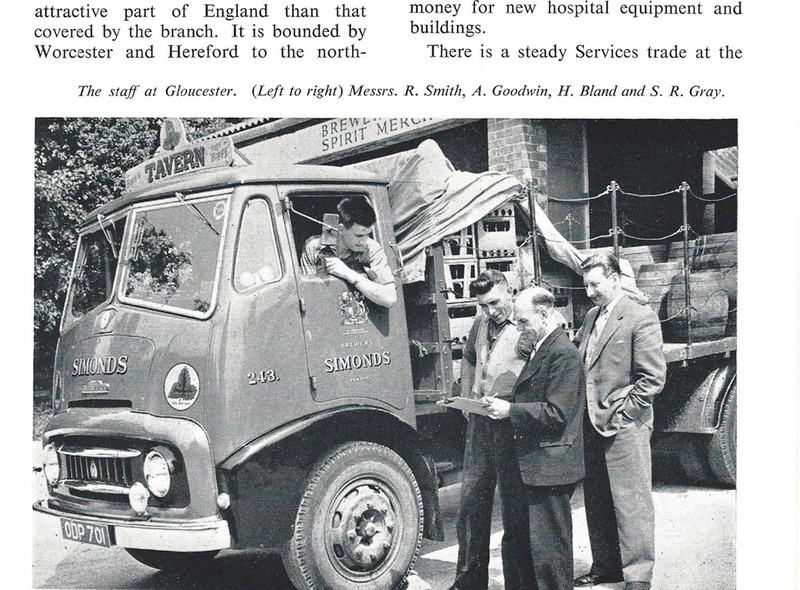 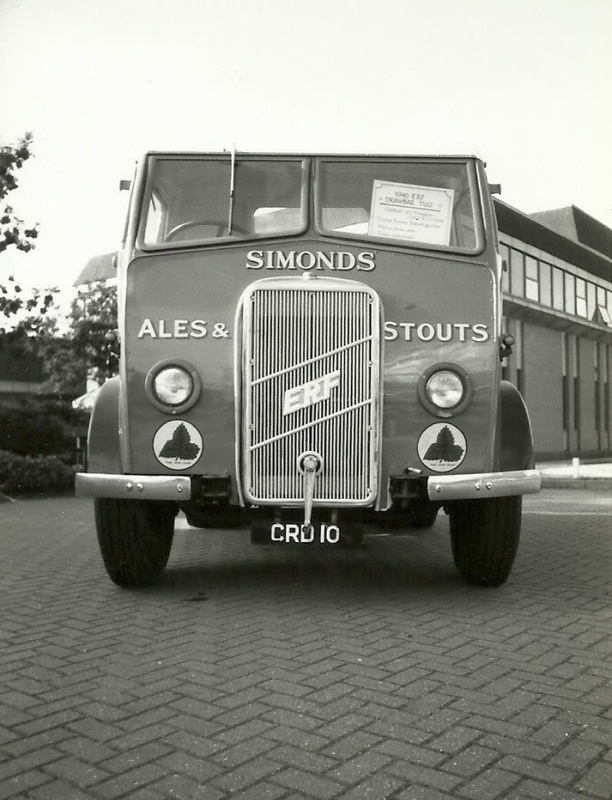 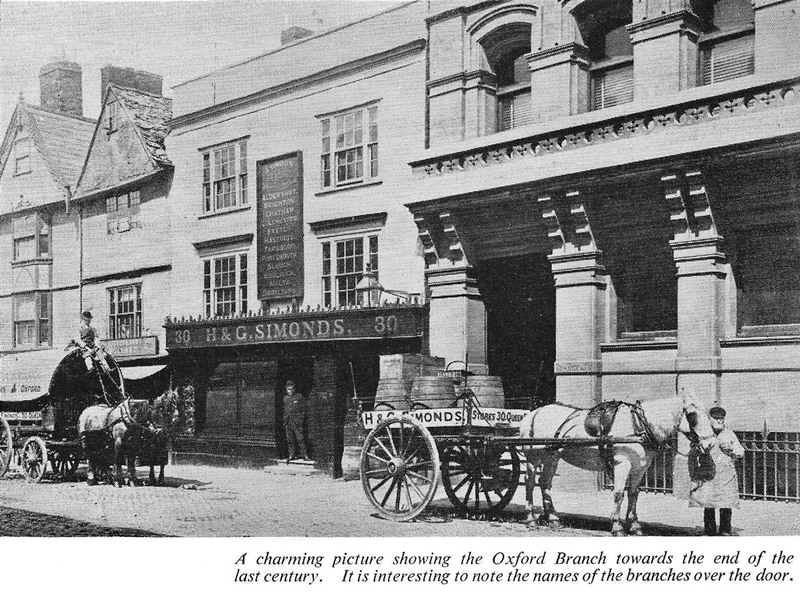 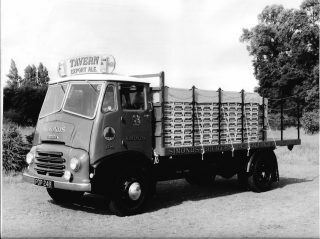 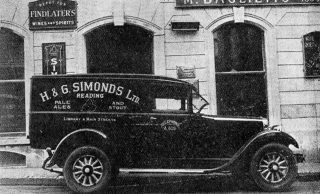 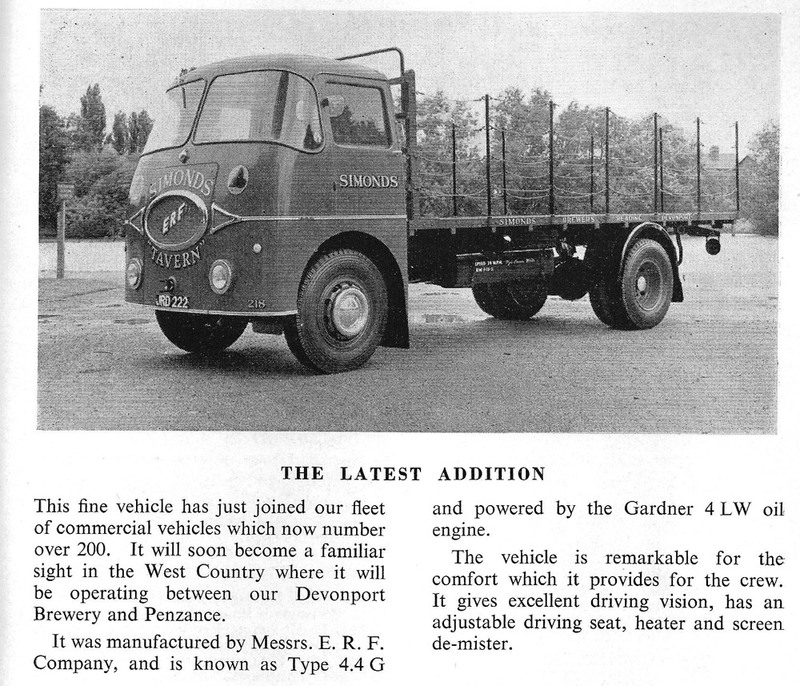 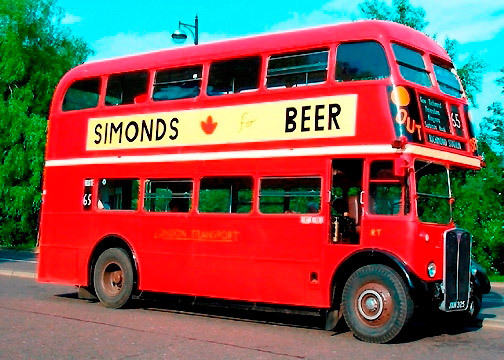 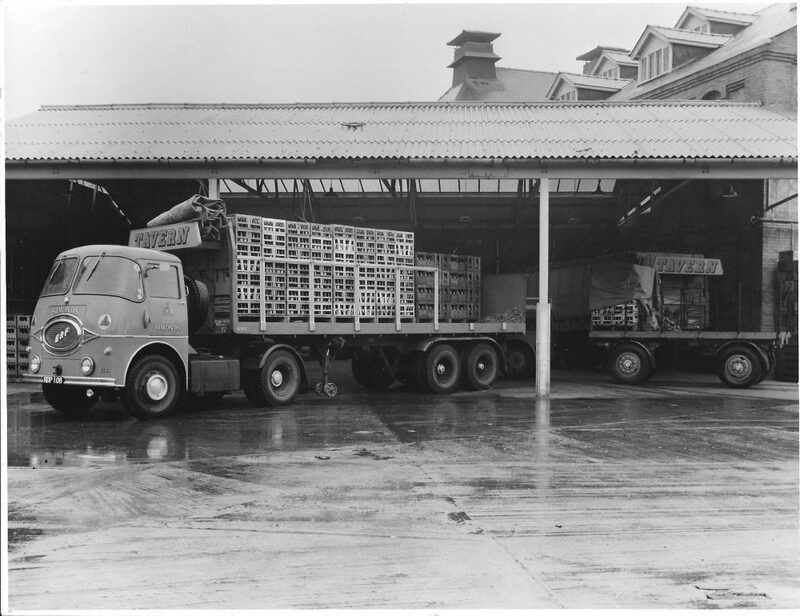 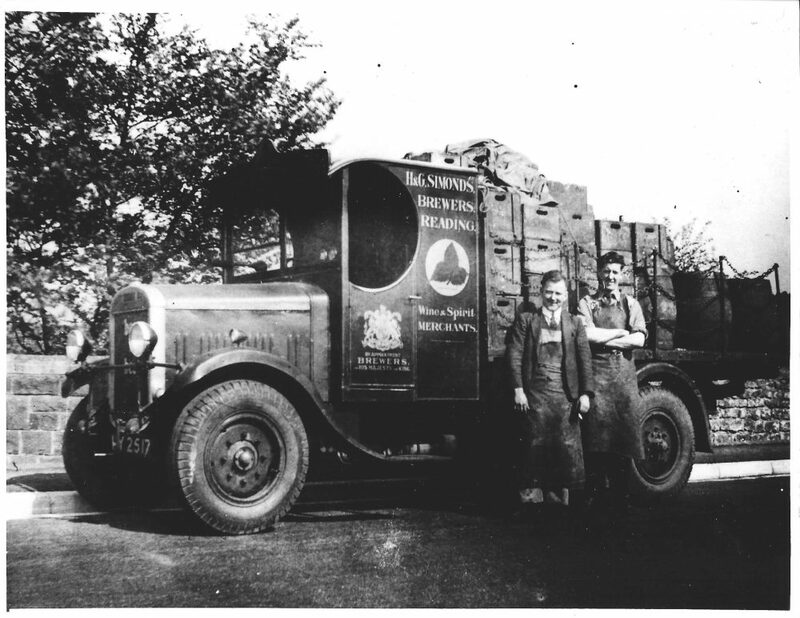 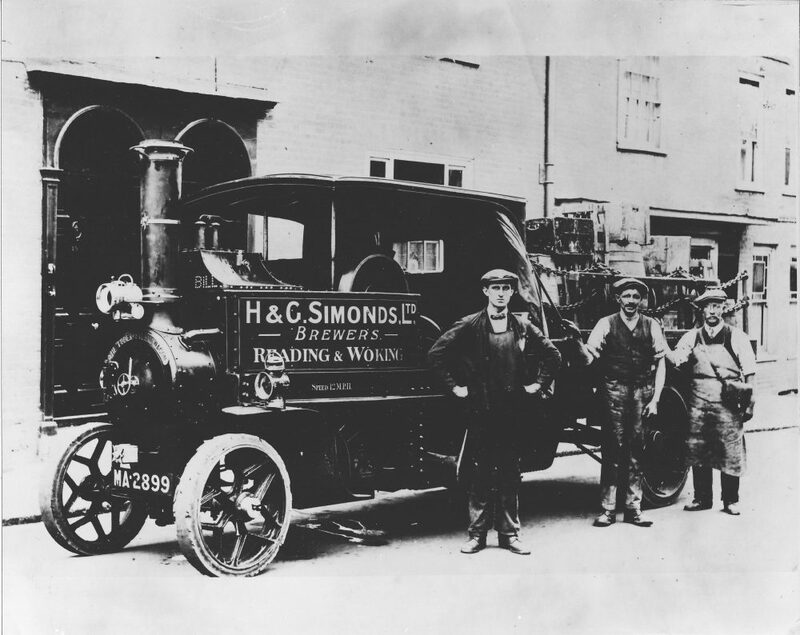 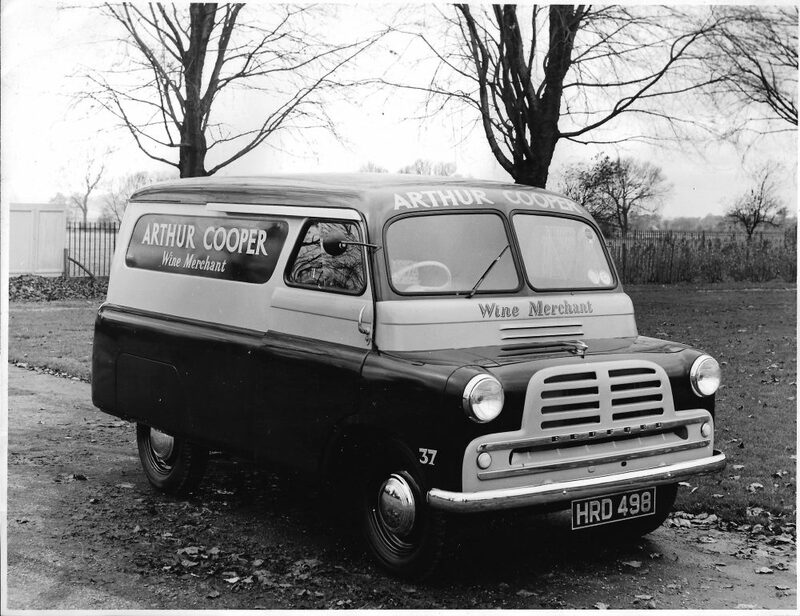 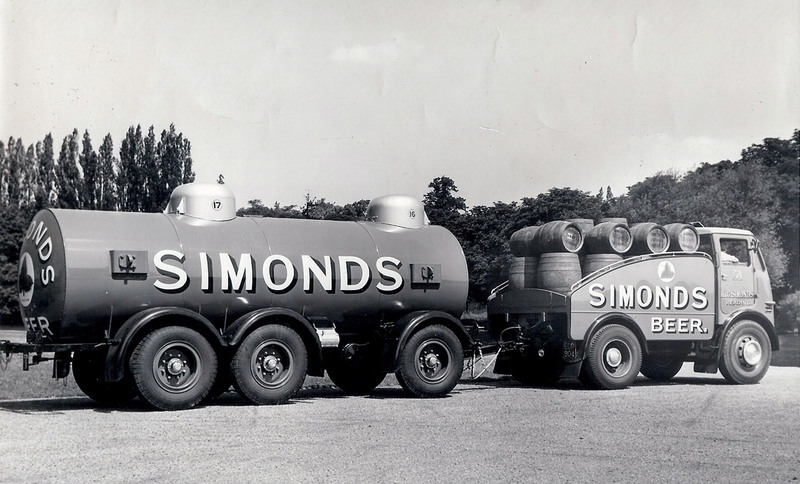 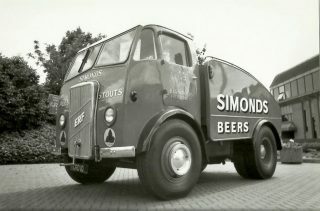 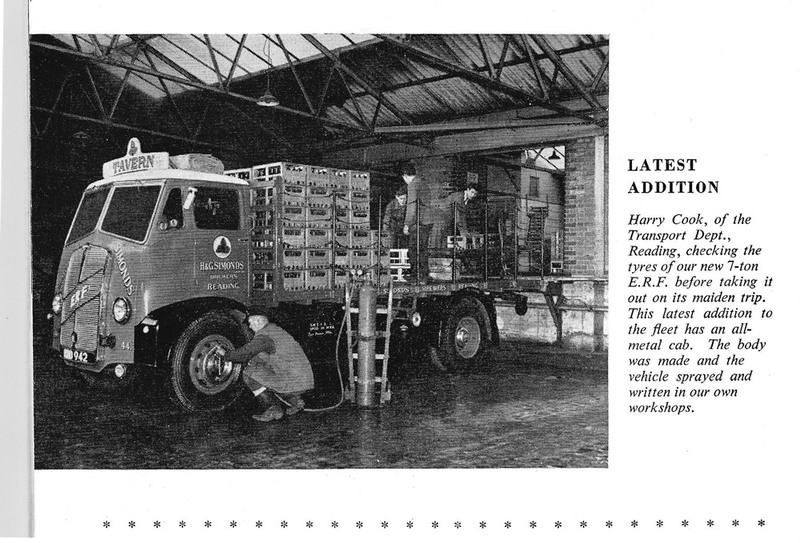 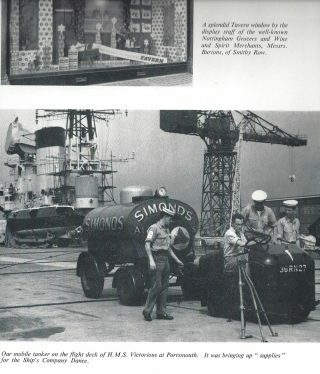 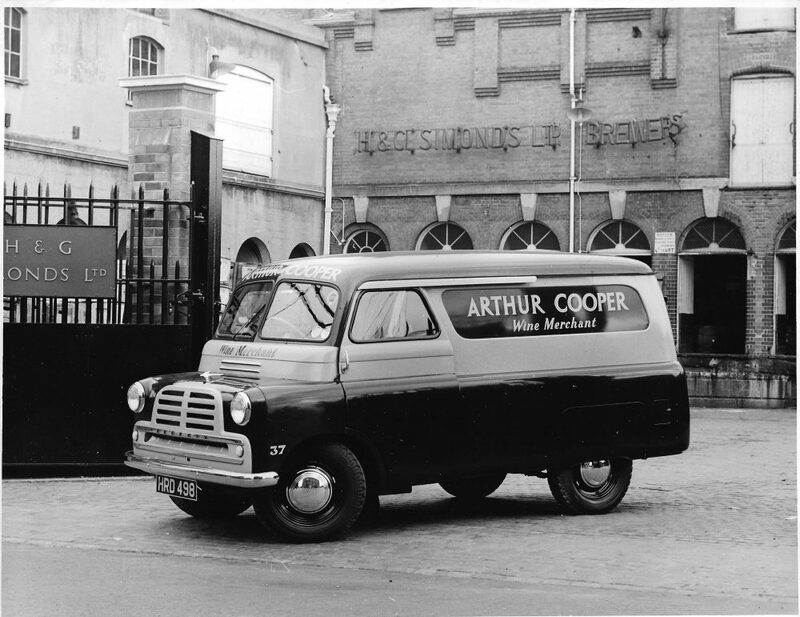 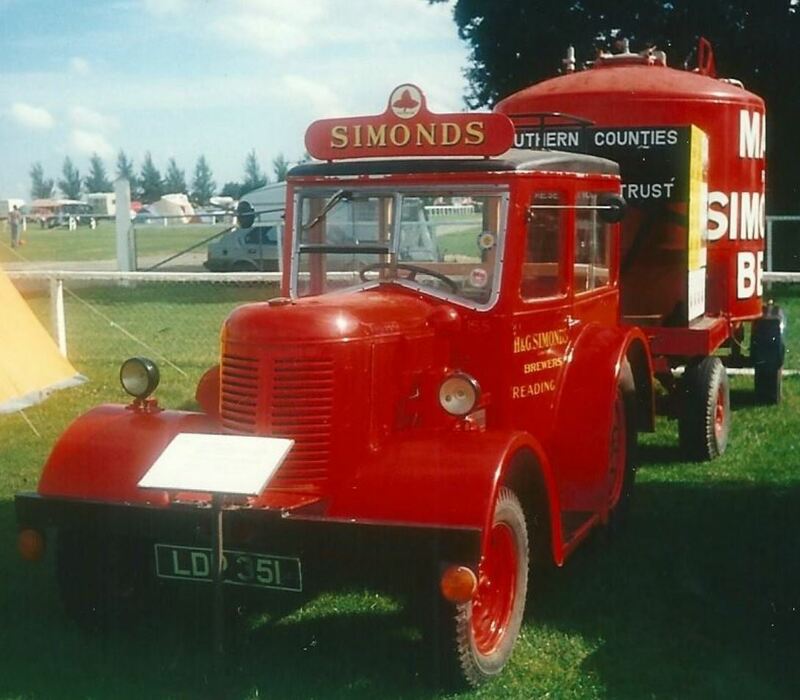 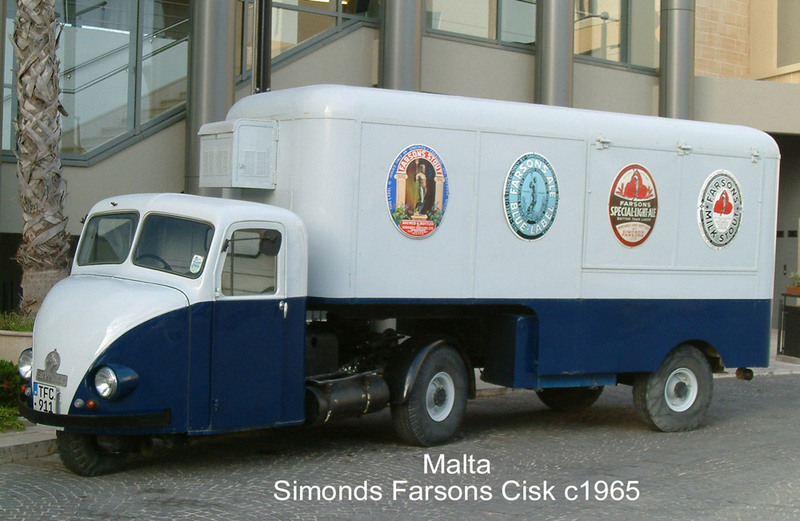 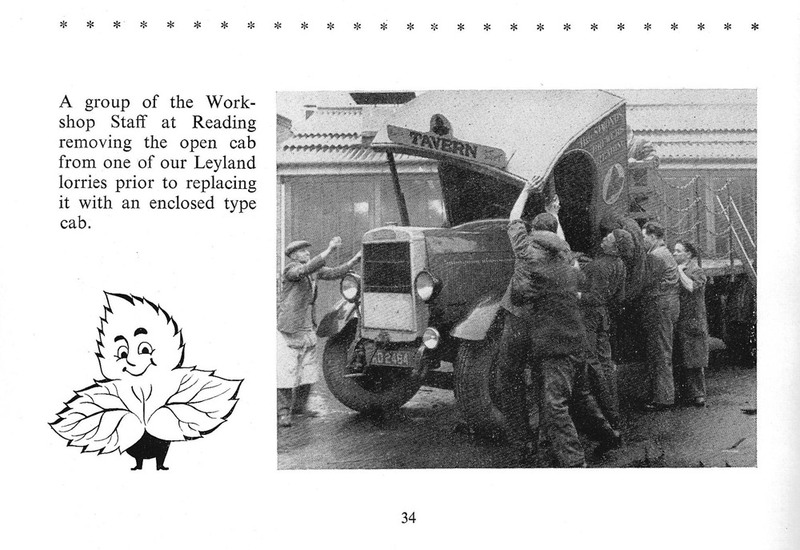 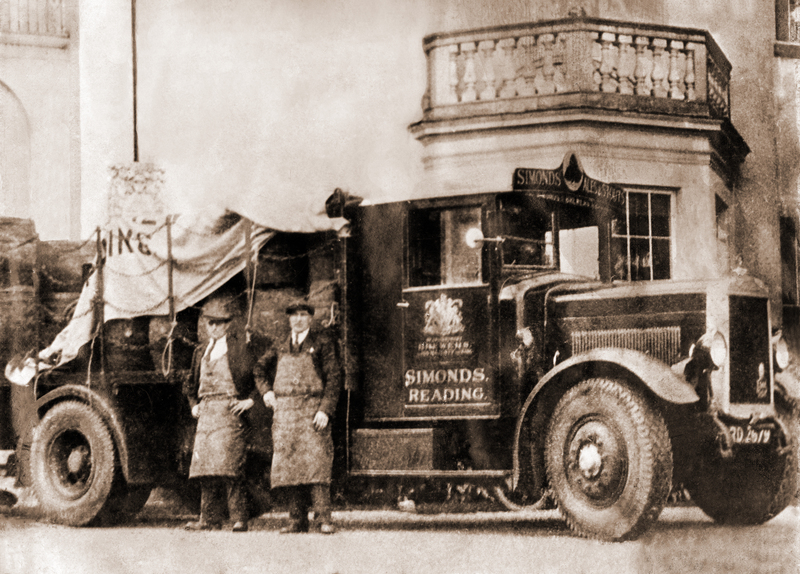 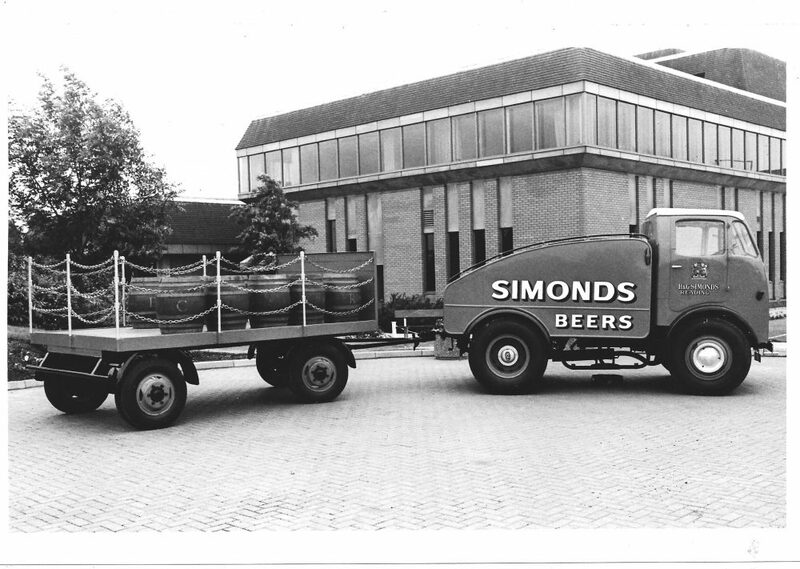 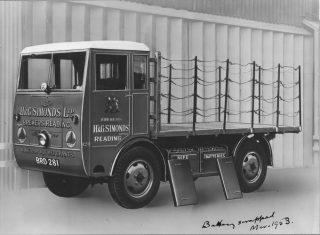 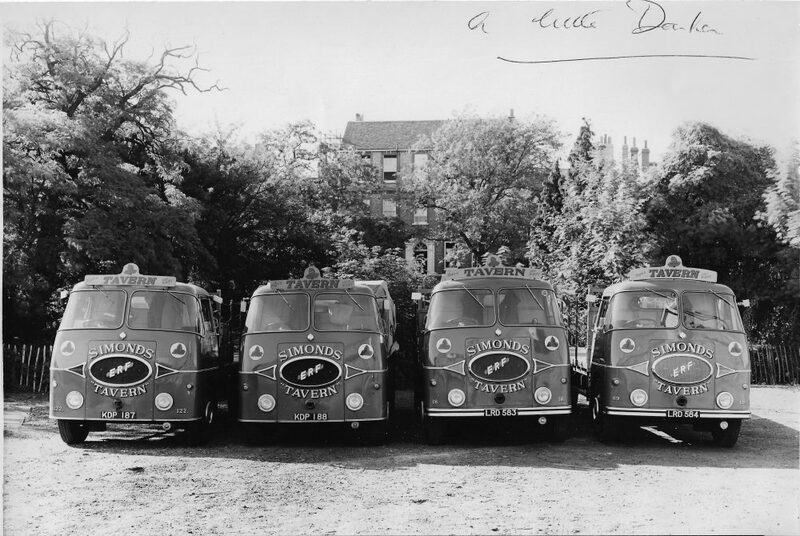 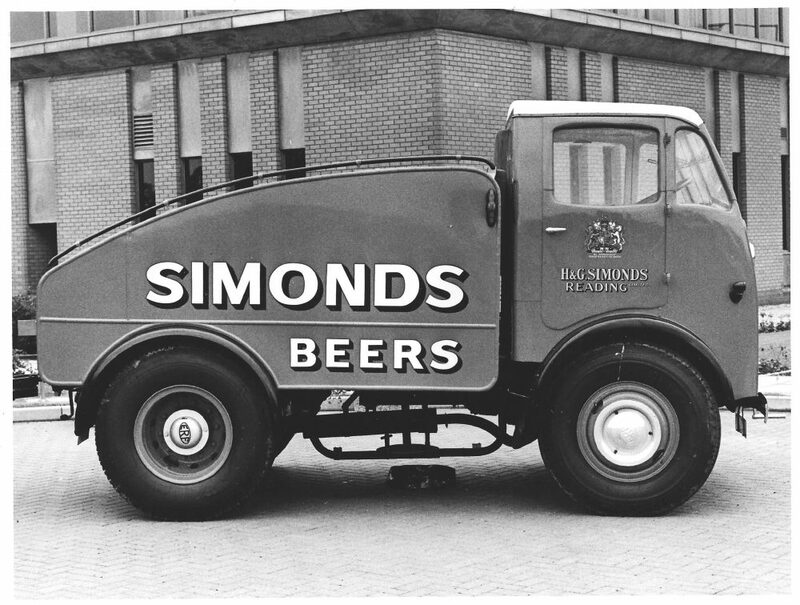 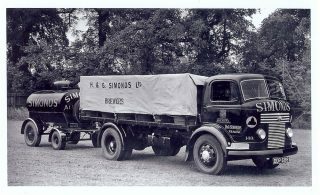 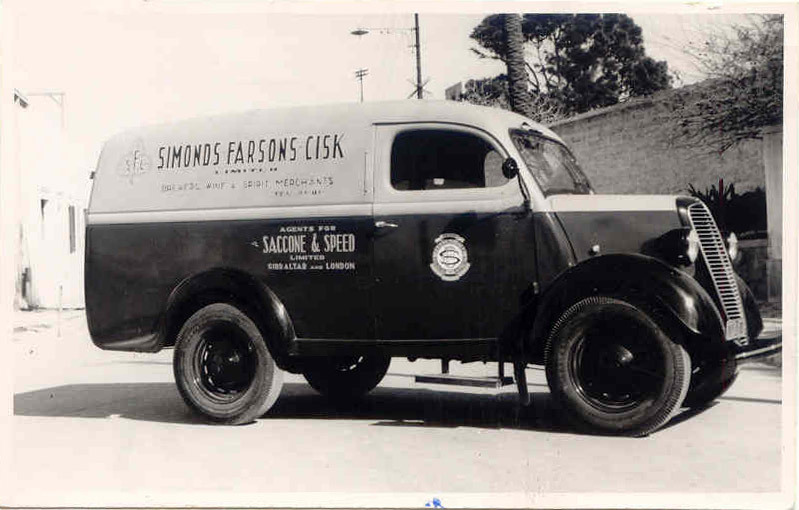 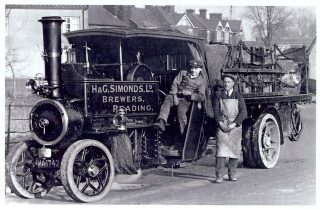 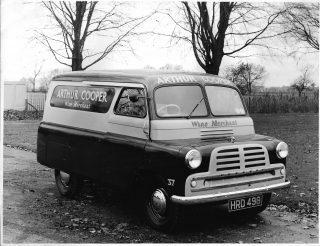 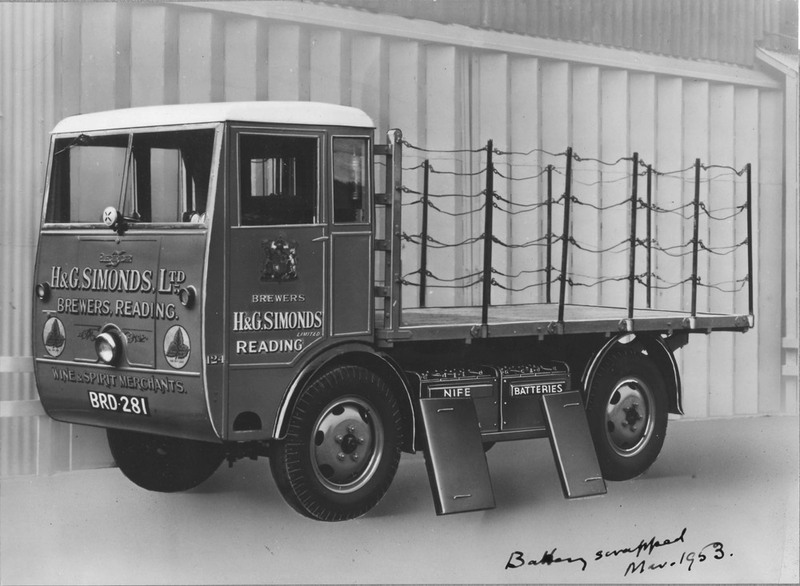 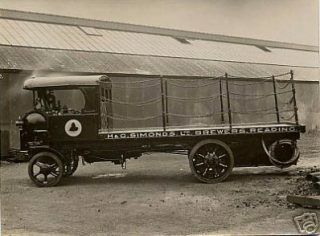 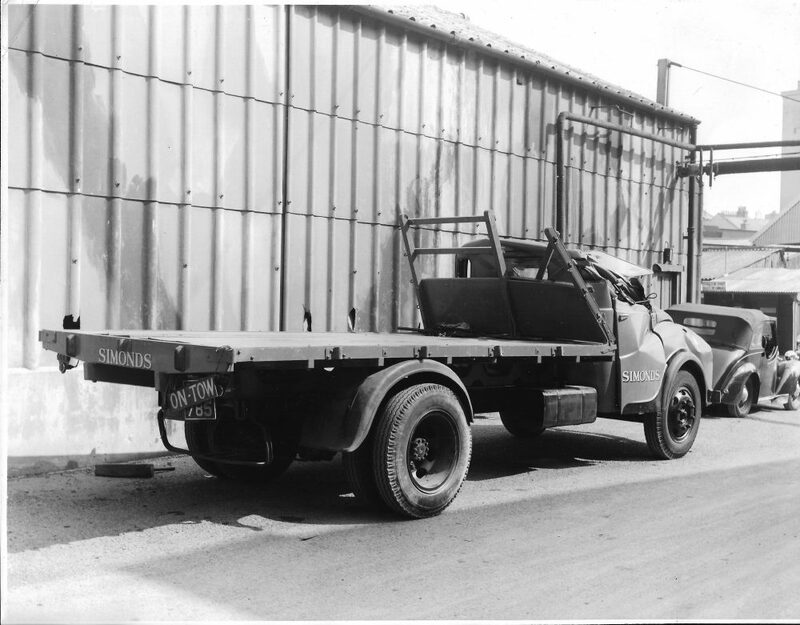 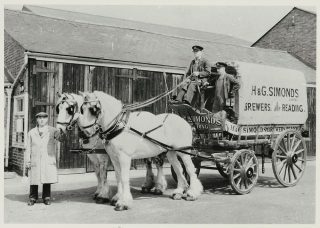 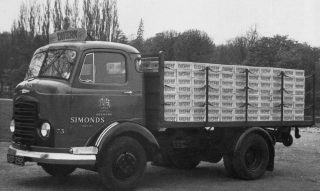 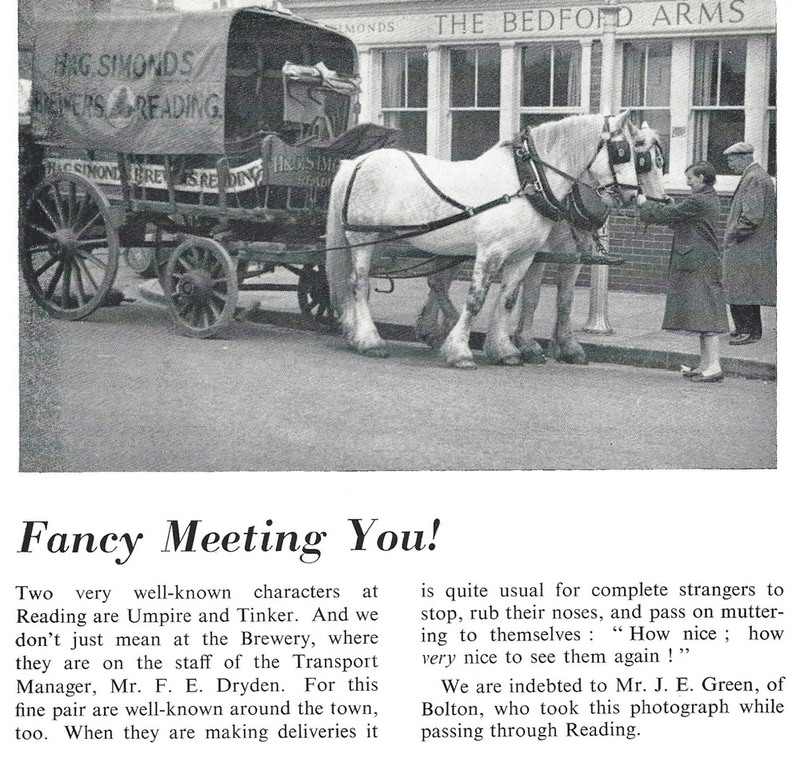 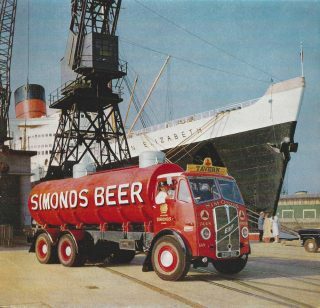 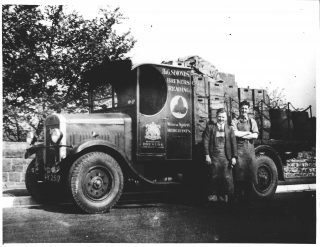 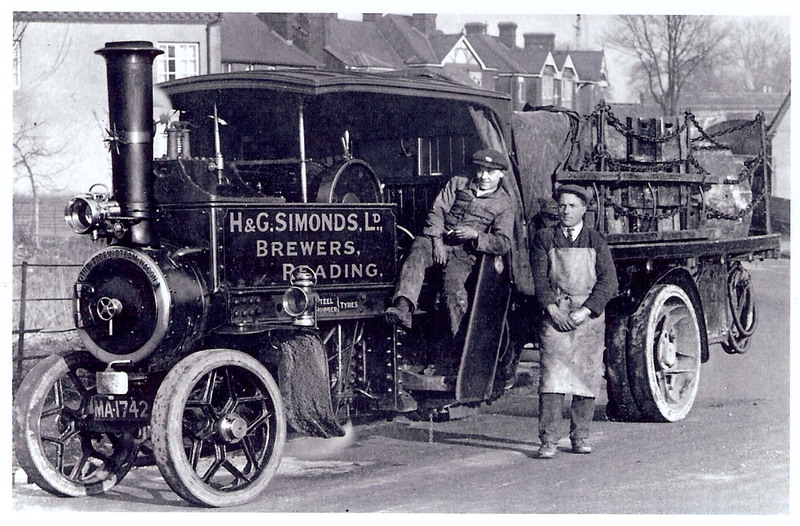 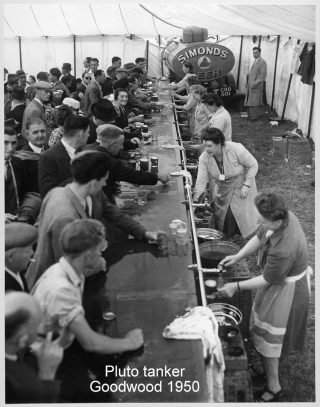 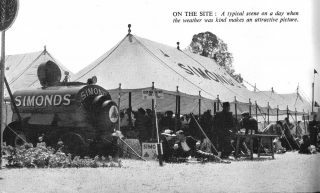 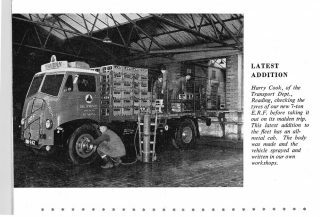 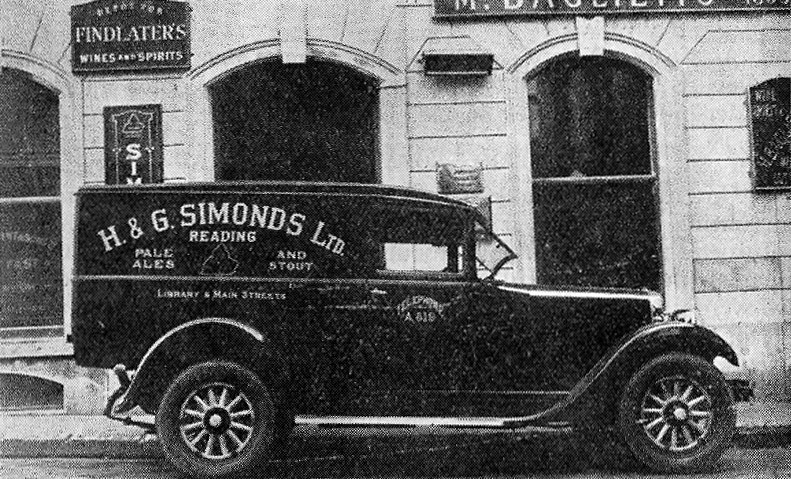 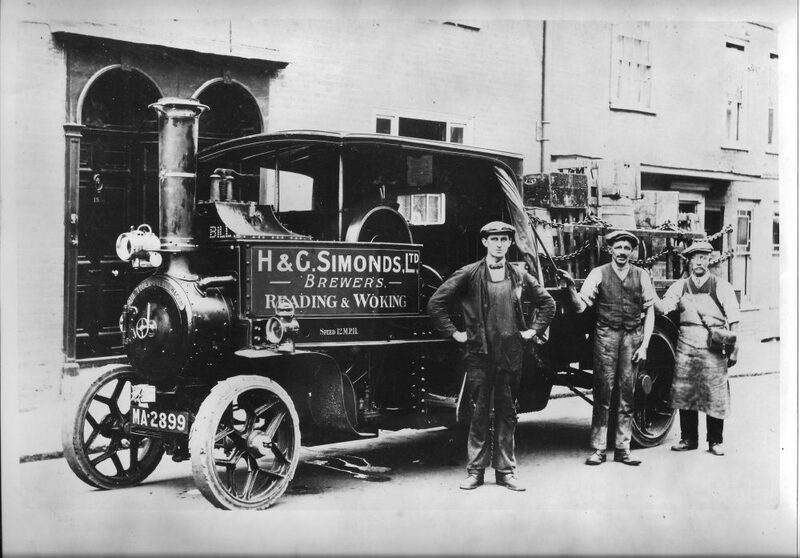 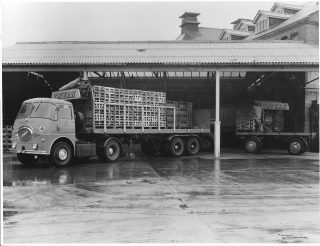 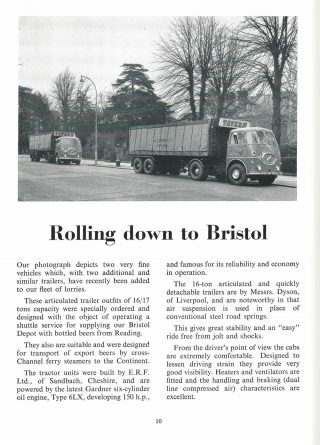 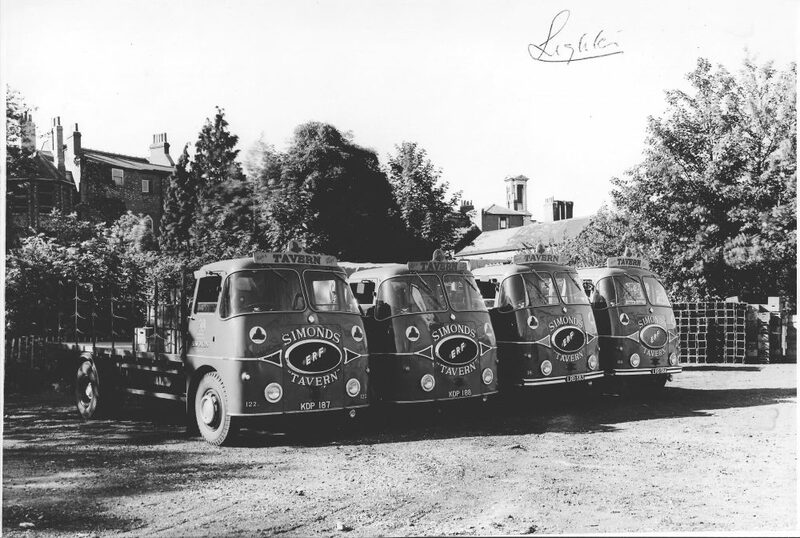 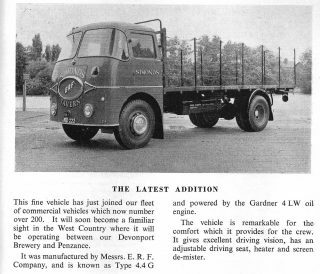 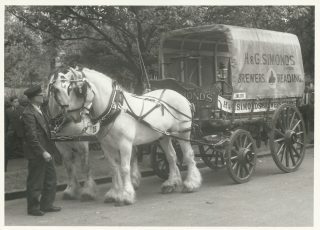 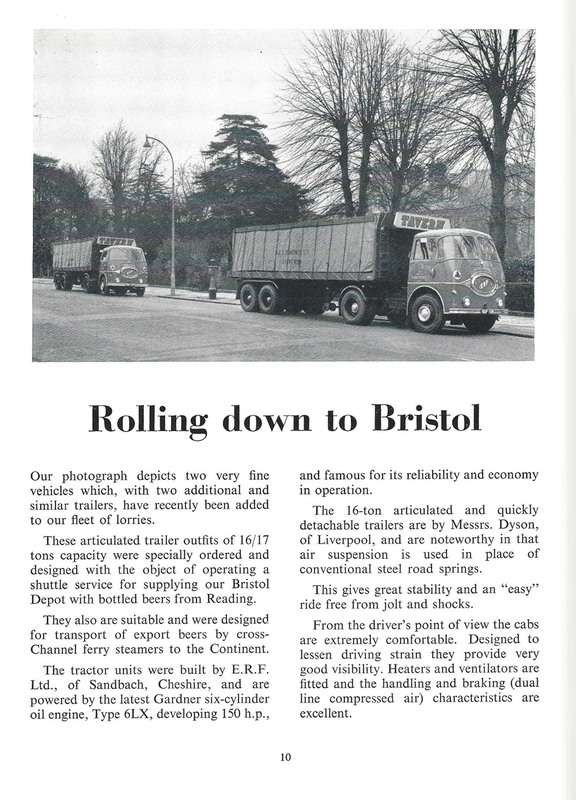 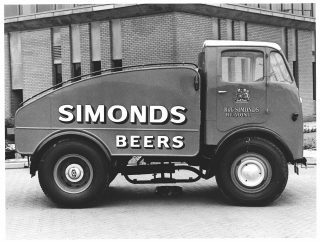 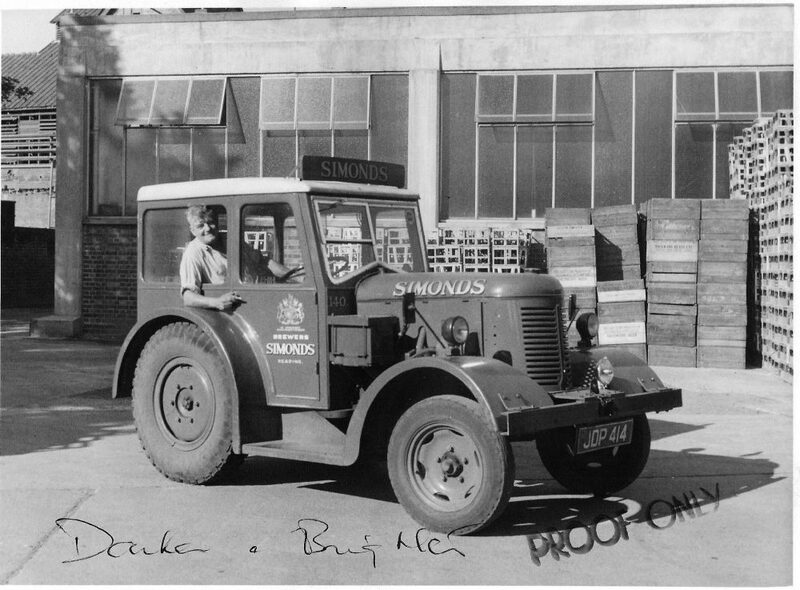 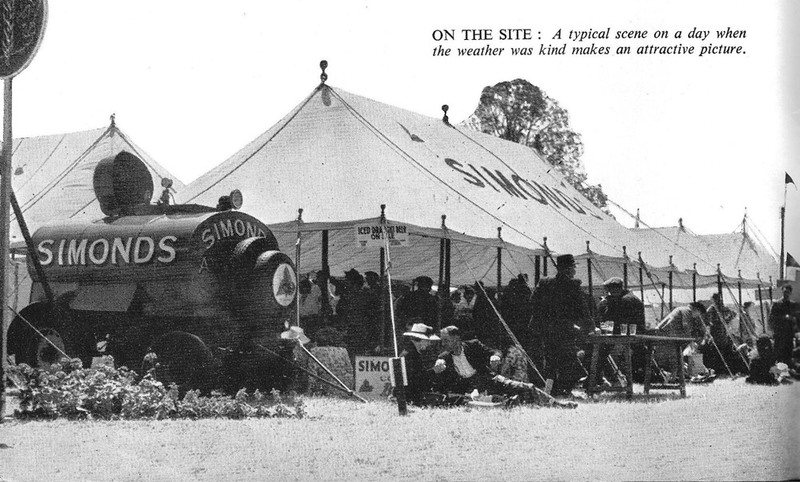 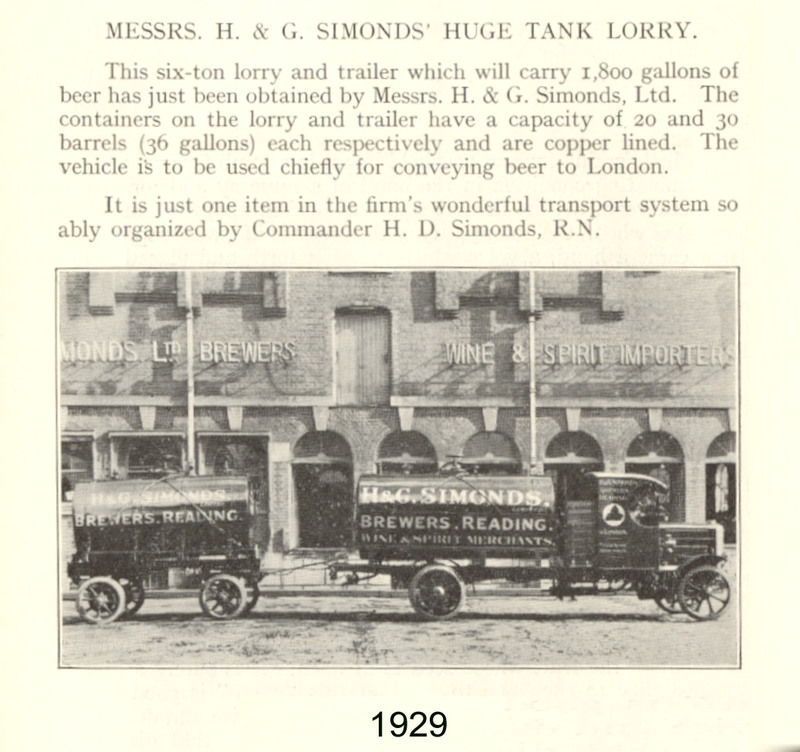 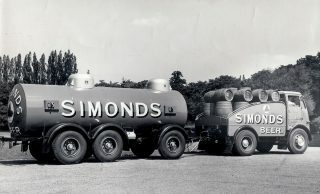 Even in 1959, transport remained so limited that H&G Simonds still ran 4 Breweries in its South West England region. 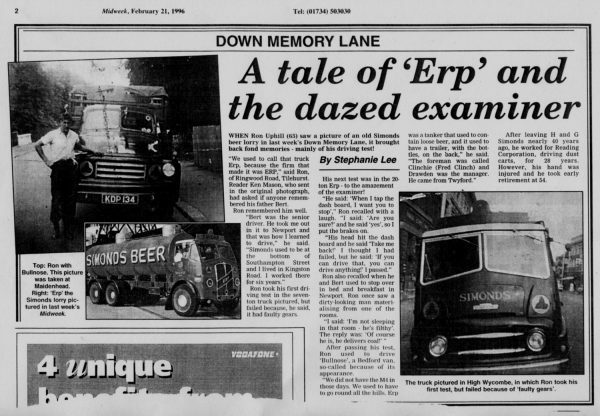 Here is a later clip from 1996, about the ERP fleet and its characters! 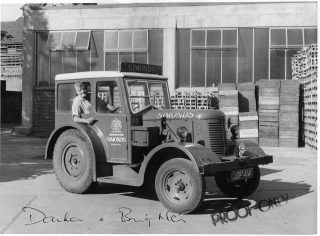 1930’s Jock Bennet & Truck. 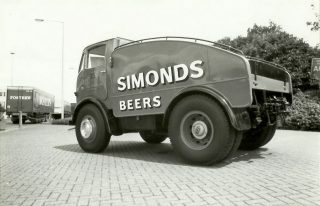 Can you tell me about the truck? 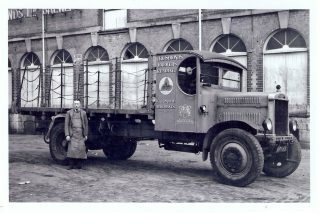 1950’s David Brown tractor used to shuttle malt from the Maltings in Fobney Street to the Brew house in Bridge Street. 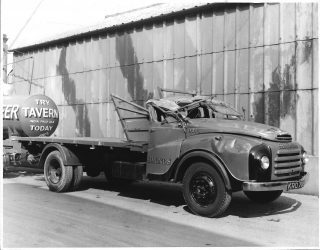 Driven by Fred Turner and Fred Cook! 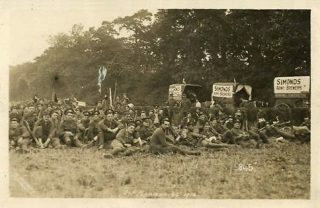 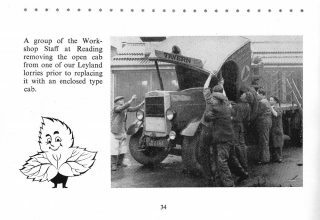 It is interesting to note the vehicle registration plates mostly show the letters ‘*DP’ meaning they were first registered in Reading. 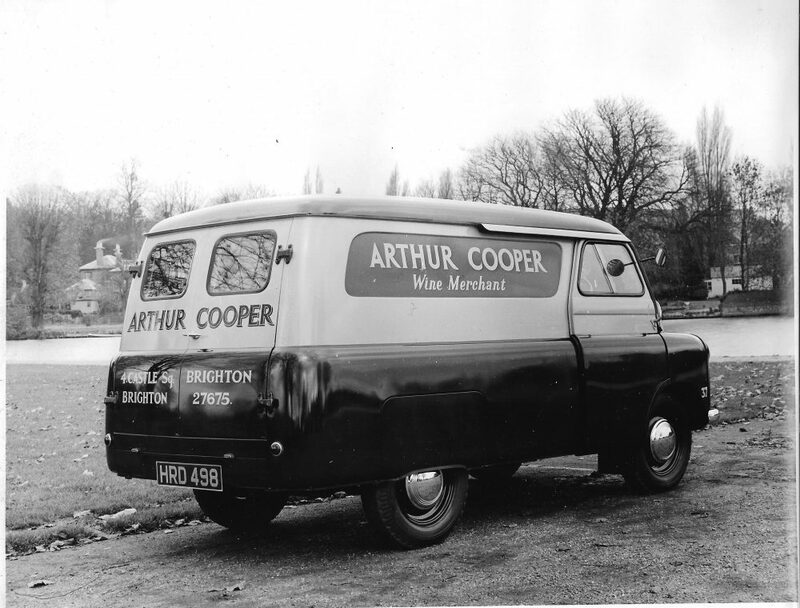 The 3 letter + 3 number combination plate was abandoned in 1963 when available options started to run out.